At UWA, you’ll be surrounded by people who hold your best interest at heart. You’ll find all the support you need to be successful, even as you work and play harder than you ever have. And when you finish, you’ll find the skills and experiences you’ve gained while earning your degree will allow you to pursue important work, the kind of work that matters in the lives of others. Still looking for a reason to choose UWA? We want to make applying as easy, and painless, as possible. You’ll find everything you need here on these pages, but if you find that you have questions or need help, we are here for you. 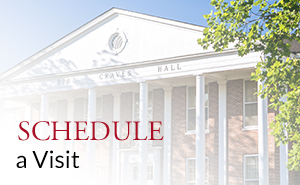 Reach out to speak with an Admission Counselor or you can call our office. We’ve made it as simple as possible. Just pick the appropriate form and get started. 2. Submit your test scores. UWA accepts either SAT or ACT scores. If you don’t have your score you can have the College Board submit your scores for you. 3. Submit Your High School Transcript. Once you’ve graduated, be sure that your high school submits your final transcript to us. If you call, they’ll know what to do. Let’s face it, everyone is worried about paying for college. 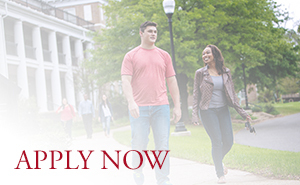 Your education is a significant investment, even at a place as affordable as UWA. We offer a variety of options to help you finance your education, from grants, scholarships, part-time employment and loans. We are here to help you understand your options and to ensure that your financial aid package makes sense for you and your family. $14.7 Million. That’s how much we awarded to UWA students in scholarships in 2016. To learn more about the many scholarships we offer, you’ll find everything you need to know here, from deadlines to applications.